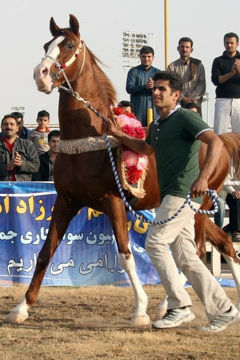 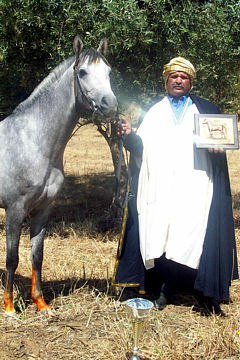 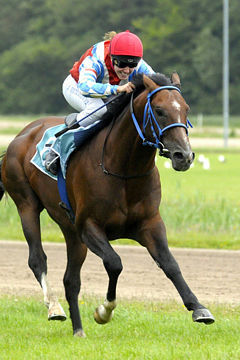 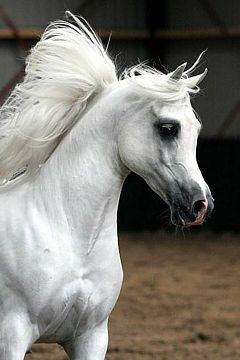 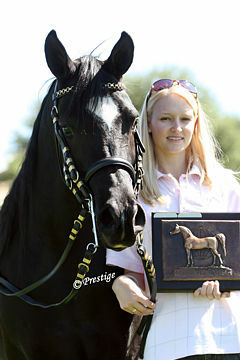 The Danish Society of Arabian Horse Breeding (DSAH) has awarded their 2009 WAHO Trophy to the dressage gelding, Fair Orkan. 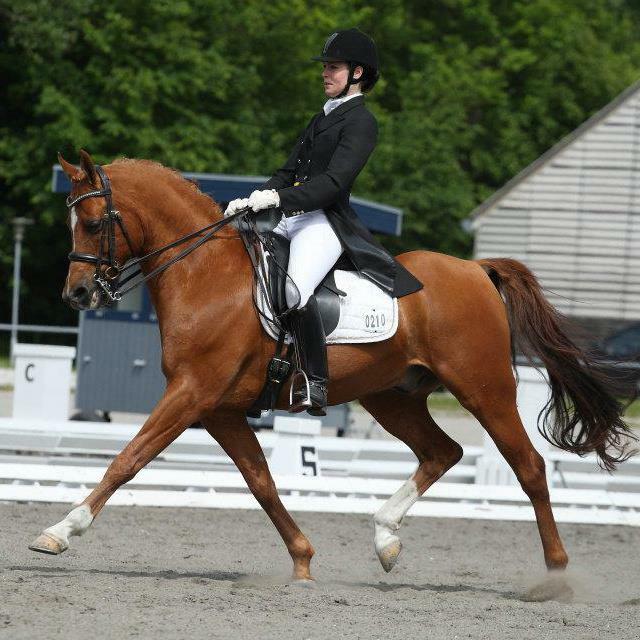 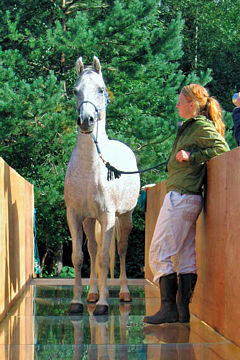 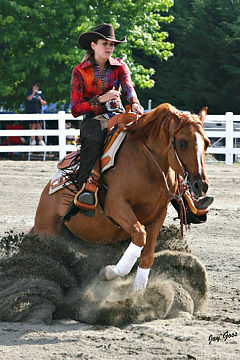 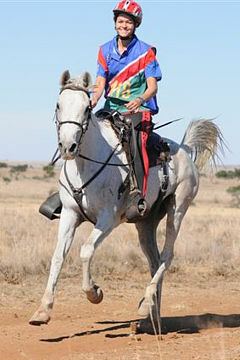 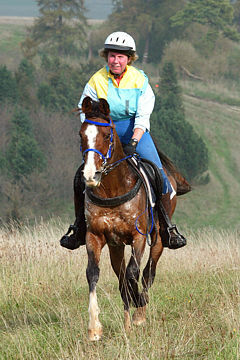 Here is his story, from his owner/rider Lise Frandsen. 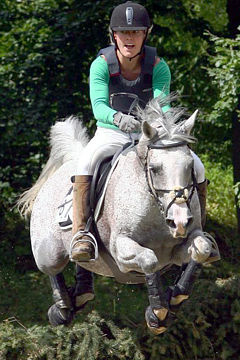 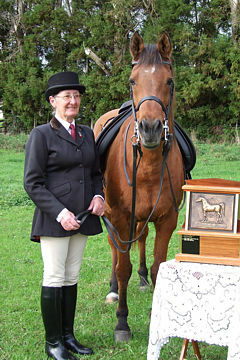 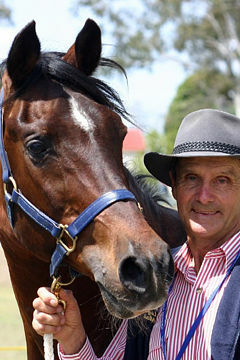 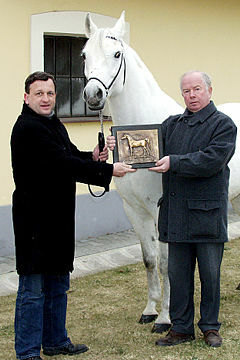 In 2009, I was the lucky recipient of WAHO trophy for Fair Orkan, in recognition of his achievements in dressage. 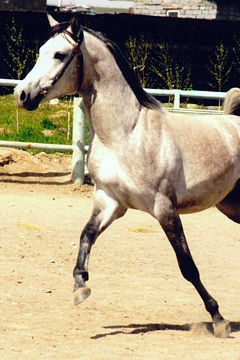 He was bred by my family specifically to be my future dressage horse. 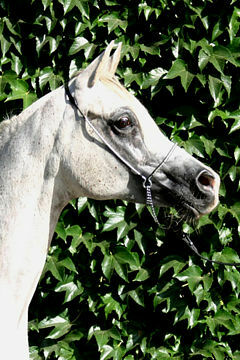 Starting with some successes in halter classes, this talented little horse is now trained up to FEI Intermediaire 1 level in dressage. 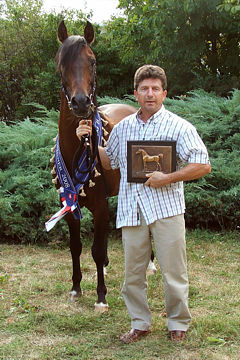 Here I will mention our major achievements together over the years. 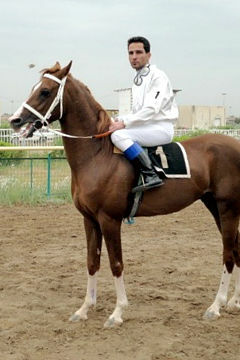 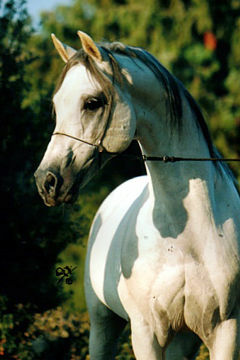 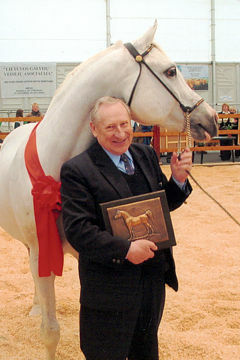 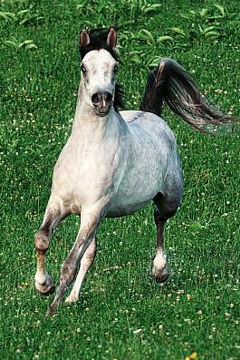 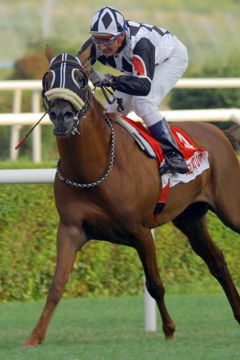 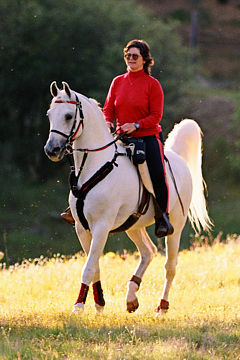 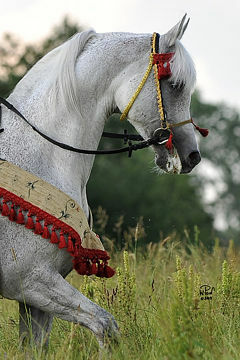 In 2008 we won the Championship for Purebred Arabians and obtained several awards in Denmark for dressage competitions as well as awards at the international All Nations Cup show in Aachen. 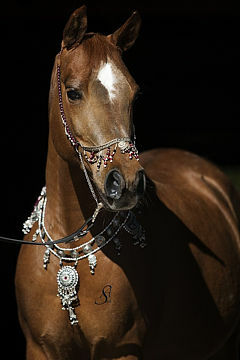 In 2009, we again won the Danish dressage championship for Arabian horses and managed to win the Silver medal in the Prix St. George level dressage at the European Arabian Sports Championships as well as the Classic All-Around Championship Bronze medal. 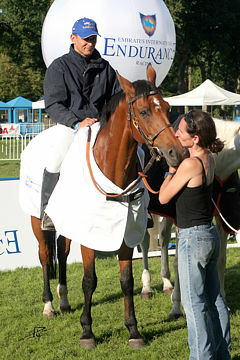 We made almost a clean sweep in dressage at the international show in Aachen. 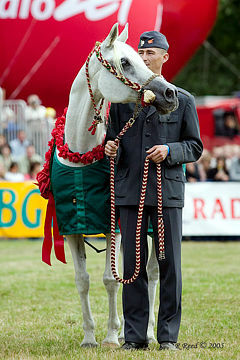 Since winning the WAHO Trophy in 2009, our international success has continued every year, including the silver medal twice more in dressage at the European Arabian Sports Championships, and second place at the International Championship in Austria in the FEI Intermediaire I class. 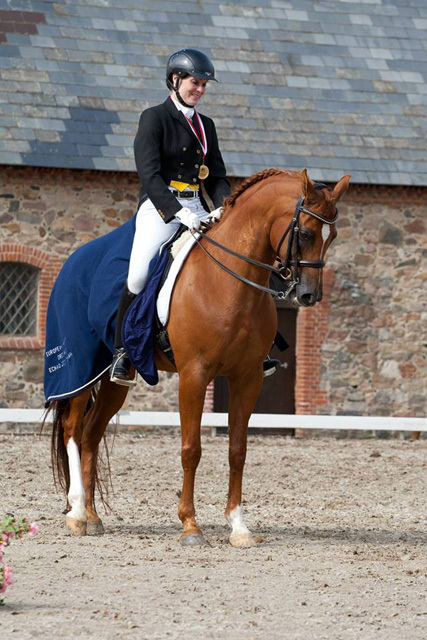 The highlight of our year in 2013 was winning the Gold medal for dressage at the European Arabian Sports Championship. 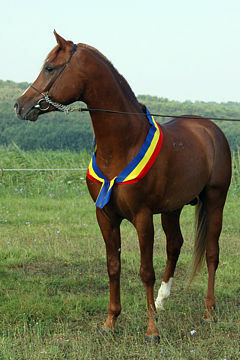 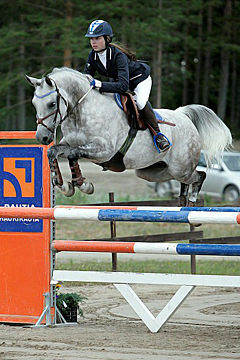 Fair Orkan is a super good and reliable riding horse and we have had many wonderfully happy and successful years together. 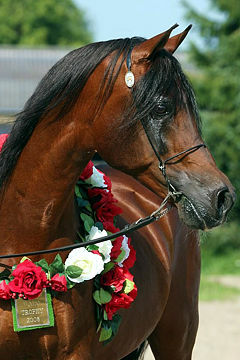 He will always have a special place in my heart.